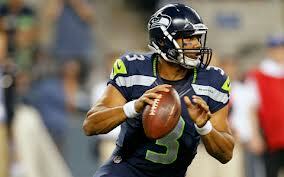 Who's surprised by the suddenly dominant Seahawks? Not readers of ANS, who saw that SEA was ranked 5th in adjusted team efficiency as far back as following week 9, when they were 5-4 and on almost no one's radar. After week 7, the model had them ranked 6th in the league. I'm obviously cherry picking one example, but that's really the value of this sort of model. We can see where it diverges from actual wins and losses to ask questions and maybe learn something we didn't know before. In this case, we could see that SEA was improving from week to week, had faced one of the toughest schedules in the early season, and was quietly putting together a very solid season. Here are the team efficiency rankings heading into week 17. See the second table below for the raw inputs. Click the table headers to sort. So is Carolina's high ranking, but terrible record a sign that Rivera needs to go? He manages the game terribly. I thought last year that this might be due to inexperience but it seems to have remained. He is the Les Miles of the NFL (minus the wins). Numerous times this season the Panthers had the ability to put the game away and were unable to cobble together a clock killing drive, often only needing one first down. Most of these games resulted in heartbreaking losses. Of late it has seemed that the Panthers have learned to run the ball again (an no I'm not referring to the spread option) with power sets of 2 TEs, much like last season with long drives controlling the clock and keeping the DEF off the field (which is where they need to be). Not sure why it took 10 games for them to remember that worked last season. The loss of Shockey and failing to sign another TE of value may have led to the coaching staff to be wary of running this offense again. Maybe they just didnt see what they were doing to actually win at the end of the year last year. I would like to see DT, TE, and OT be the priorities this upcoming draft. Otherwise, I fear Rivera and this staff will spin thier tires again next season. A new GM will go a long way to defining what direction this team will go. The pieces are there (although way to expensive). I have now vented. Thank you if you read. I've been complaining for weeks that the Vikings should be ranked higher, but after demolishing the Texans in Houston, this 23rd ranking is a travesty. The mismanagement could still be due to lack of experience. Remember that he only had 16 games of head coaching experience coming into the season, and all of his coordinator-level experience was as a defensive coordinator. That doesn't bode well for stuff like time management. Brian, I don't know if you'll see this, but I decided to try a different approach to statistical "power ranking" (and I realize the above aren't really power rankings per se) by taking the geometric mean of oEPA/P and dEPA/P. I basically adjusted each by first switching the sign on dEPA (so that with both stats, positive=good) and then adding 1 to both to take care of the negative numbers. That gave an "adjusted" geometric mean which, when ranked, is pretty intuitive. The top 5 teams are SF/DEN (tied), NE, SEA, and ATL, with CAR a bit lower than the efficiency rankings, at #11. Any comment? If team A (home) is playing team B (away) and you know their GWPs, what's the formula for the probability team A will win? I've looked around on this site but I couldn't find it. Does the model essentially assume a schedule strength constant of 1? It looks like the Logit of the opponent GWP is simply added in, without any multiplier on how important it is. I guess putting it another way: If NE puts up 7.5 yards per attempt against teams with a 40% GWP - what should be expected when they play a 50% GWP team? Is it closer to 7.4 or like..5.4 yards per attempt? This is essentially what the model is doing, right? Inflating/deflating team stats based on who they played..? Is this something that has been studied? Does it even make sense to put a constant in front of the opponent GWP Logit? How did you determine how important the quality of opponent is? "I've been complaining for weeks that the Vikings should be ranked higher, but after demolishing the Texans in Houston, this 23rd ranking is a travesty. " The Vikings have gotten a lot of value out of their special teams, and this system doesn't care about special teams. Ditto Baltimore. It is what it is. He is pretty up front regarding the methodology. Any chance we can get 'k-rich' to compile the calibration data for the 2010, 2011, and 2012 seasons? Funny to go back a few weeks and see what people were saying about our favourite Panthers when they were 2-8 and you were saying they were the 5th best team in the league. Finishing the season 5-1. Who'd have thunk it? Well, I know a few people who had faith in these rankings.